You are currently browsing the tag archive for the ‘Canterbury LGA’ tag. I was shocked to see this. It once was a wonderful area of habitat. 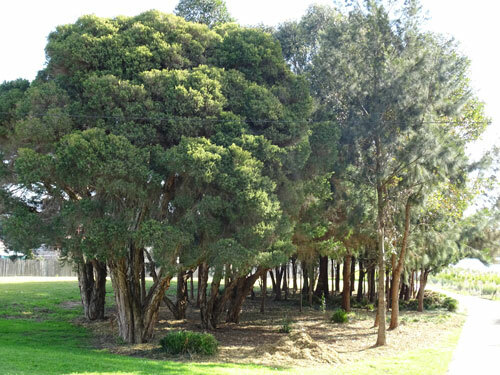 Close to the bridge over the Cooks River at the Sugar Factory apartments & as you approach Cup & Saucer Creek Wetland there was a wonderful fairly large bush pocket. 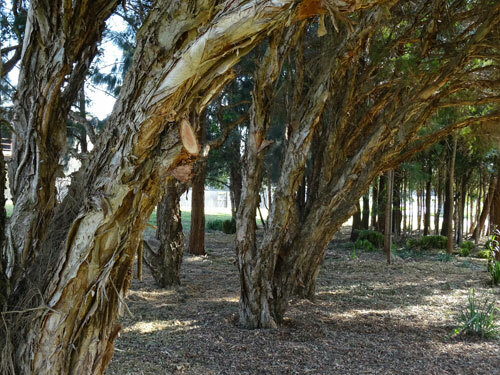 It contains roughly 40 mature trees & a number of saplings. Native grasses were growing in abundance. It was a place full of the sound of birdsong & if you were lucky a butterfly would come flitting out. 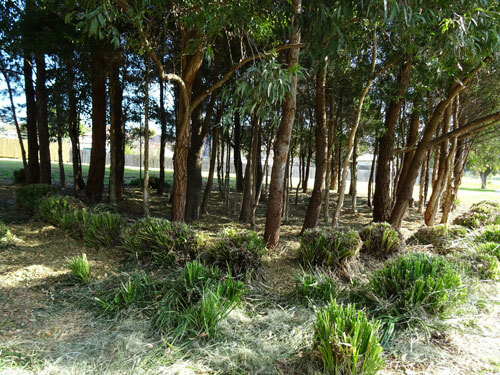 I always admired this bush pocket thinking that there aught to be more of these bushy areas that are off limits to people & which provide sanctuary, habitat & food for a huge range of wildlife. So my mouth literally fell open when I came upon it today. All the lower branches have been pruned, so the lower part of all the trees looks like sticks. As if we don’t have enough of this everywhere we go! 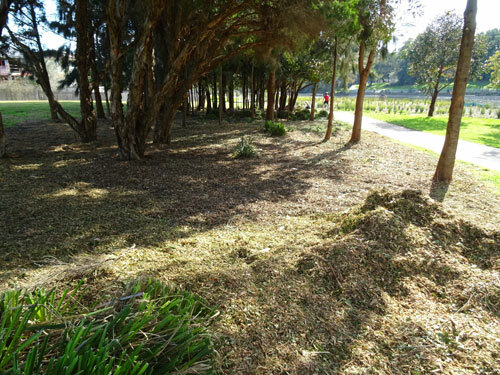 The native grasses have been either removed or cut back & what was pruned from the trees has been spread as thick mulch on the ground. I can’t imagine how many insects went through the wood chipper. 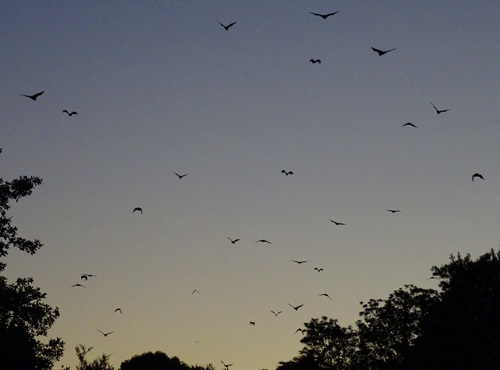 As it is today it remains useful to birds, but for the rest of the wildlife, it now represents a stark unsafe place, so they had better find somewhere else to live…that is if they are still alive. For us humans, the bulk of what made this place beautiful has gone. What was Canterbury Council thinking? This work is a major step backwards for biodiversity. 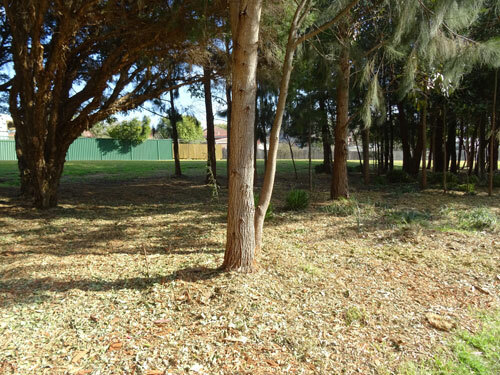 Because the lower branches have been removed, this site will not be able to return to what it once was. Such a shame. Almost every tree had been pruned. Even the native grasses were cut back. 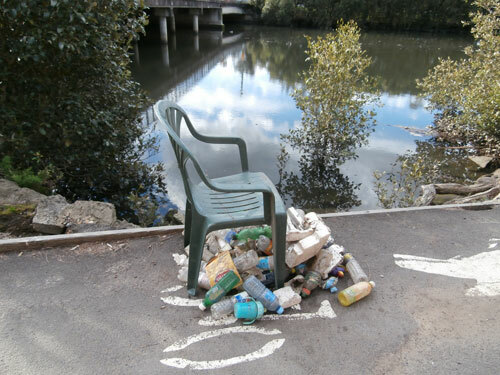 A beautiful big pile of plastic bottles, plus a plastic chair on the Canterbury side of the Cooks River next to the Illawarra Road Bridge. All these were collected from the muddy bank just below. 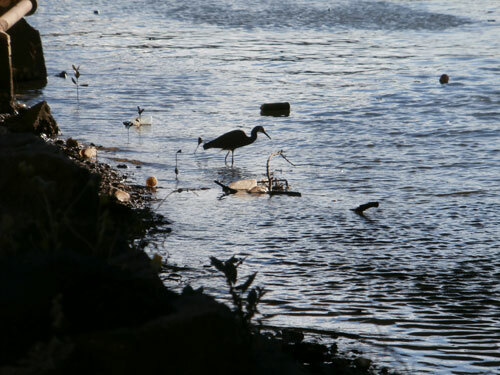 About 5-metres to the left of the pile of plastic bottles shown in the photo above a White-Faced Heron was foraging for food under the Illawarra Road Bridge. There are more bottles & tins around him. Seeing wildlife like this reinforces the need to clean up their home. 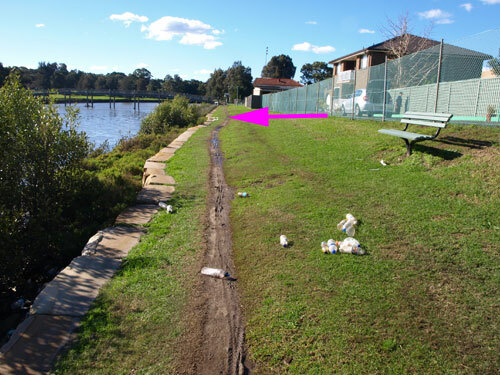 For a few months now I have been noticing piles of dirty plastic bottles on both banks of the Cooks River. It seems that some local hero is spending quite a bit of time collecting the bottles & other pieces of plastic litter & putting them in a pile ready for either Marrickville or Canterbury Council to remove them. To whoever is doing this, I thank you. You are one of those quiet achievers in the community whose work is largely unrecognized. It’s hard & dirty work. It is not uncommon to see both adults & children fling their plastic bottle away once they have emptied it. Seeing the piles of bottles is a strong message to stop littering. One bottle doesn’t look like much, but a pile does. Two smaller piles of plastic bottles collected further up the river opposite Ewan Park.